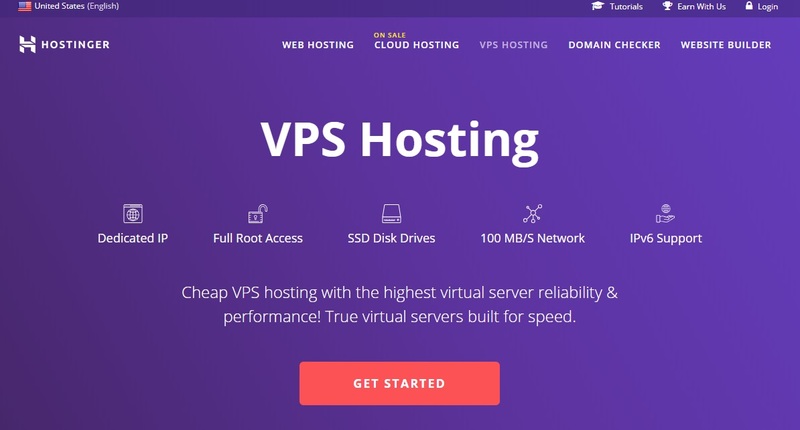 Top 15 Best VPS Hosting Sites in 2019 - Compare Before you buy! 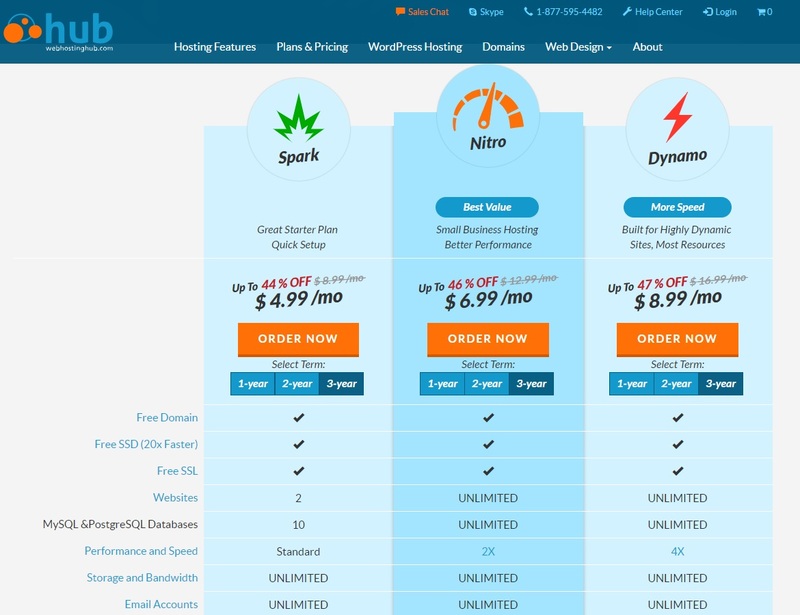 Discover which is the best VPS hosting websites for your business in 2019 and find the optimal cost-benefit option to host a site online. It’s not an easy task to find the best VPS option on the internet. Do you want to make it a much better and simpler experience? We know you do, so we have created this special list with Virtual Private Servers offered by different companies worldwide. Finally get the opportunity to host your webpage in a server of your own for a very low cost and the most indispensable and accurate features you should expect from a VPS. We have been particularly engaged in selecting the most efficient hosting plans, for those starting a hosting company or simply in need of a server dedicated to their business. Developers and webmasters are going to find this list with offered virtual machines really useful to their purposes, not leaving any good internet hosting option behind. 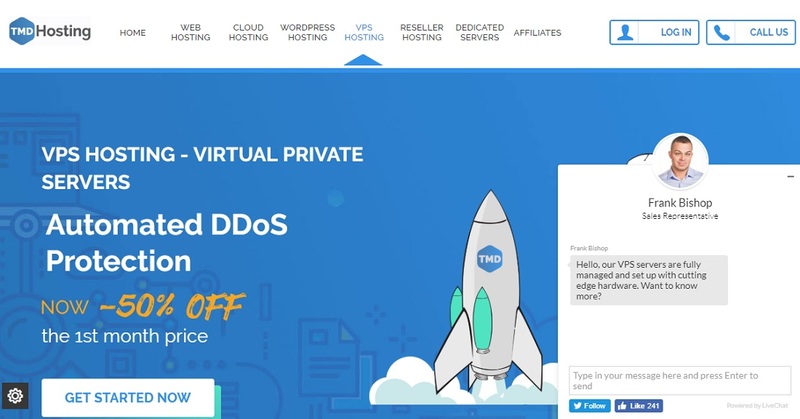 We have had past experience with this hosting service with VPS, but the entire evaluation of this internet host business is only taking into account its features, not simply our opinion. They offer a great and user-friendly panel to be used, controlling the hosted sites and the VPS plans. The support, a very important aspect to self-managed servers such as a VPS, is incredible at this hosting provider. If any problem within their range of action occurs with your virtualized server, a ticket or an online chat can quickly solve the issue. SSH access is granted for experienced users, or at least those risking some technical action without Dreamhost’s management team. Giving this company a try also offers a money back guarantee, in case the VPS is not suitable, due to bandwidth, hardware configuration or other case, you may have it back. 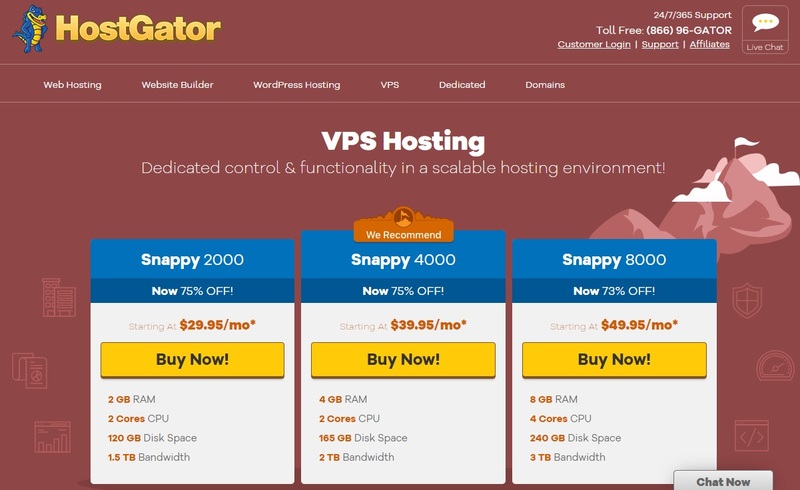 HostGator is a well-known Internet hosting service provider and is currently offering a great deal for new VPS. They have a special cPanel suggestion for those willing for a virtual server that is fully managed. Together with the offer, the client gets up to 2 IPs dedicated to their websites and considerable hardware configuration. They are offering multiple layers of security for any of their 3 plans exclusive to virtual private servers, including protection against DDoS attacks. Also, the bandwidth is provided by multiple different companies, ensuring a greater support to the VPS uptime. Finally, consider their 45-days money back guarantee a plus. Money-back guarantee of 45 days. 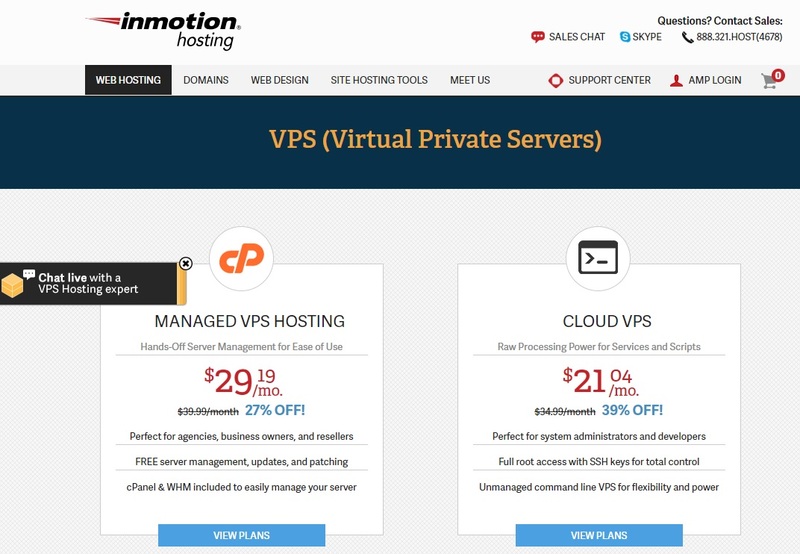 Get your website in motion with their VPS hosting plan. Among the features they offer to clients, we can highlight the free backups and SSH access. Their service also supports integration with WordPress, which is particularly interesting to blogs hosted in VPS. Also as a free option, they even scan for malwares in your server. If choosing to hire their unmanaged or fully managed options for virtual servers, add to account that their support has a 24/7 telephone number and they give back the money, in case you are not happy within 90 days. Money-back guarantee of 90 days. 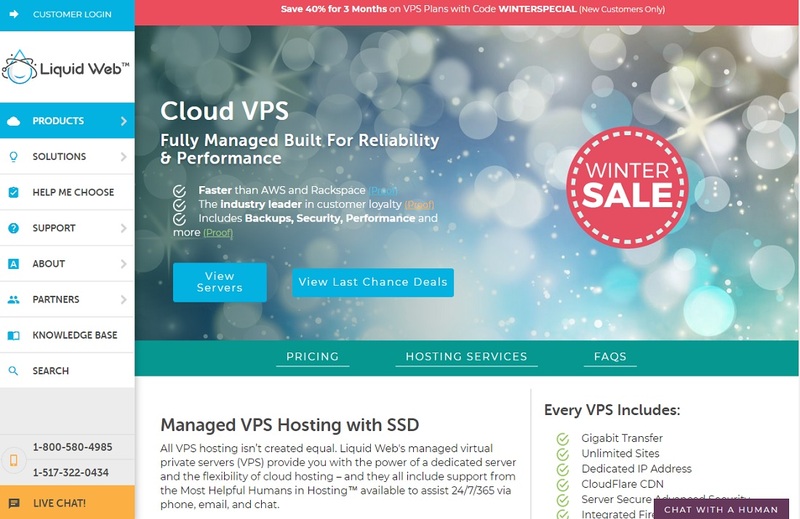 Cloud VPS starting at $21.04/mo. The company performs regular backups on a daily basis, which is a plus for those not willing to pay for an extra backup add-on to their VPS. Talking about these extras, Bluehost has almost ten different options to enhance your experience. From the standard plan, it’s possible to get more dedicated IPs, exclusive SEO tools and much more. Get a 24/7 support through the phone at any time you may need attention regarding your virtualized server. Just contact them through the website. Get the vServer of 1&1 IONOS and start your cheap VPS account right now. If super powerful virtual machines aren’t necessary to your business, get a smaller one to host your project. Decide the location of the data center among three good options covering America and Europe, besides which operational system would belong to your VPS. Their support is good and shall take care of concerns and issues, if not particularly related to what is hired as self-managed. They are available 24/7 for support. 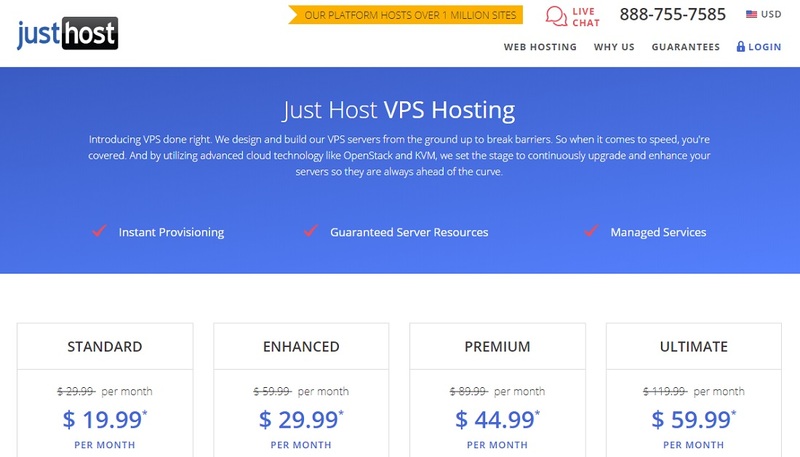 VPS starting at $5/mo., increasing to $10 after first year. If big prices aren’t affordable or sound too much like a dedicated server cost, Web Hosting Hub is here to offer VPS with good features and for a very reasonable price. They also offer backups for a very cheap additional cost of 1$ each month, unlimited bandwidth, hosting and e-mail accounts and a free domain. If that’s still not enough, it’s also possible to give up on their VPS hosting service and receive the money back, if requested within 90 days. Even those who are not fans of coffee will understand why MochaHost was added to this list. Their 180-day guarantee to give the money back is just one of the highlights of hosting your VPS with this internet host provider. Choose the cheap virtualized server with them and get a cheap but powerful virtual machine, granted 100% uptime and never see your server reset again, due to updates that every host provider does now and then. Their support is also very good and always available. 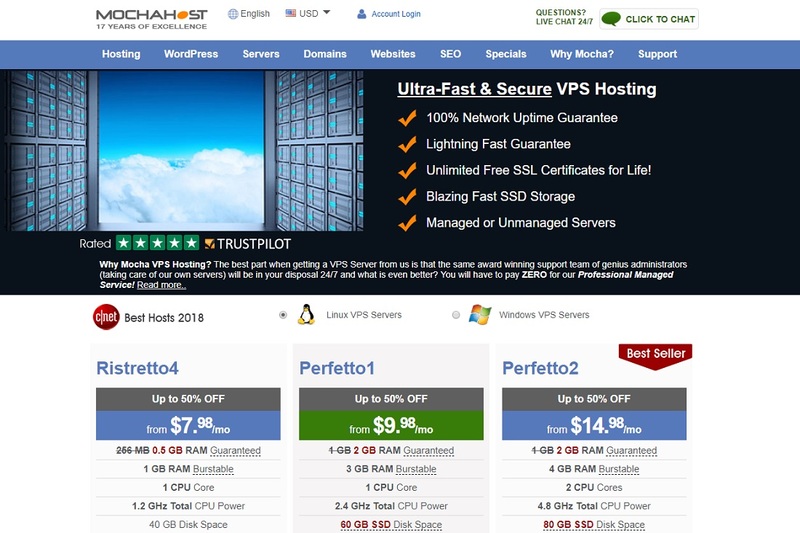 If these are attractive VPS features for you, consider taking MochaHost. 100% Uptime and Never Reboot system. Hostinger is a very big company with many clients worldwide, operating nearly everywhere. If you are not satisfied with their cheapest VPS option like the other clients, they give the money back if requested within 30 days. Their chat line support is open 24/7 to receive your complaint or issue. Some plans get not only a dedicated IP, but also constant backups to some plans. Due to its high cost and the most expensive VPS in this list, Liquid Web was not kept in the top of the list. But, although the majority of virtual server clients are looking for cheaper servers, it couldn’t be out of the list due to its amazing features. 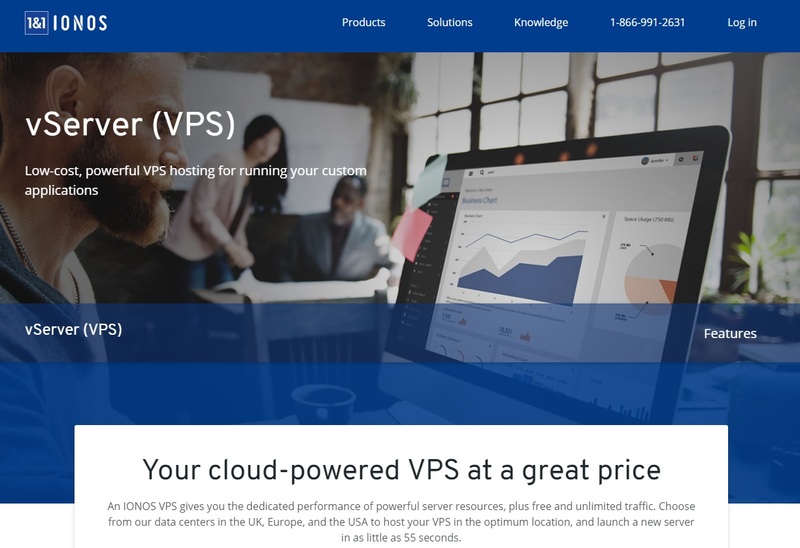 Their options include in the lowest and standard VPS plan: large bandwidth and disk space, capacity to operate with Linux only and a user-friendly managing system, such as cPanel or Plesk Onyx. The best feature of all: everything is fully managed by them. 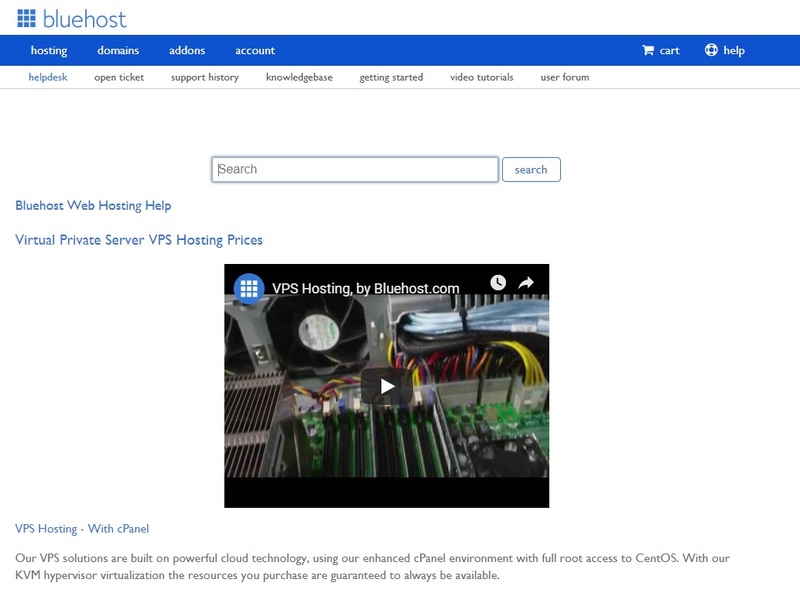 With a standard price that is not too cheap, nor expensive, the VPS options at JustHost are also in this list. Connect to experts and use their support 24/7 through the website or phone. Get managed VPS servers and don’t worry too much about technical matters and issues. Besides, root access with SSH is always available, if you desire. They also offer a user-friendly panel, and everything is cloud-based. 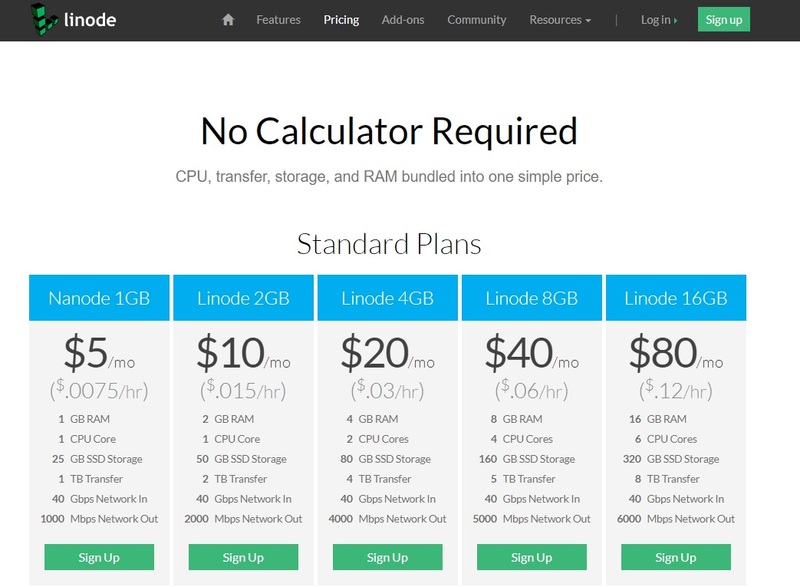 With a wide variety of locations to host your website, the VPS provider Linode offers a great range of plans, starting from a very low price. It’s a very famous company with a solid infrastructure and good support. They will give attention to their customers through their tickets, usually answering much quicker than most VPS host options. 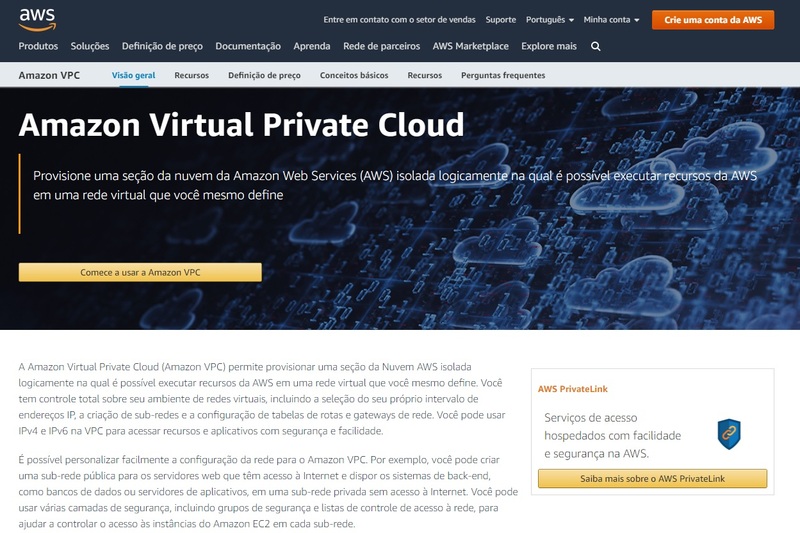 Amazon offers cloud-based VPS for clients who want to rent servers, distributing their data and bandwidth worldwide. The best feature on this sort of service is its scalability. As long as the budget allows, the resources can be expanded beyond imagination. Due to the geographical distribution, it’s much less probable that the server will experience any downtime, as it can be instantly replaced by other location. Get your Virtual Private Cloud (VPC) working according to the current website or service needs. The pricing will vary greatly, as it’s paid according to the use of hardware power and bandwidth. VPC price will vary according to use. 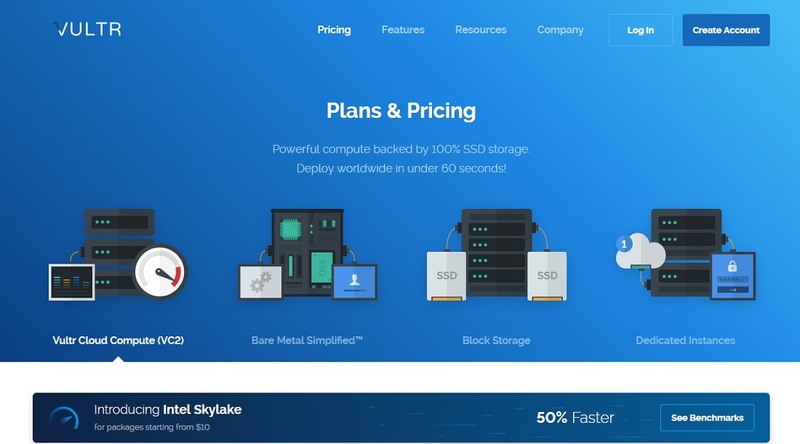 Another company which offers cloud-based virtual servers is Vultr, with a low-price range for its plans. Also counting with the possibility of raising resources as necessary, it’s a good option for those starting on a tight budget. Despite the low price, this enterprise offers storage with 100% SSD, keeps the server online 24/7 and offers 16 different locations for latency changes. Cloud-based VPS starting at $2.5/mo. SiteGround offers cloud VPS options that are fully managed and also counts with the advantages of the past two hosting providers. Differently from the others, they start off with more powerful servers for a higher price. For people not willing to start low, add all the location and uptime possibilities for a cloud server and host your site at their virtual servers, to get what you need. Cloud-based VPS starting at $80/mo. Back to standard prices, not too low or too high, we have the TMD hosting plans with a fully managed server. Start with 2 CPU cores, premium support, cPanel, free setup and 40 GB of SSD disk space. If 3 TB of bandwidth isn’t too limited considering other important resources available, maybe this might be the option for many website owners. Also, don’t forget to add the backups and the scan by spam experts in the free add-ons that TMD Hosting offers for their VPS plans. Keep your website or business working all the time with its proven 99.999% uptime too. Check our summary and decide if that’s the VPS plan for you. Cloud-based VPS starting at $19.99/mo. Serious businesses have to take into account all basic aspects of the website, including the VPS host that is going to hold the entire virtual existence of the company. 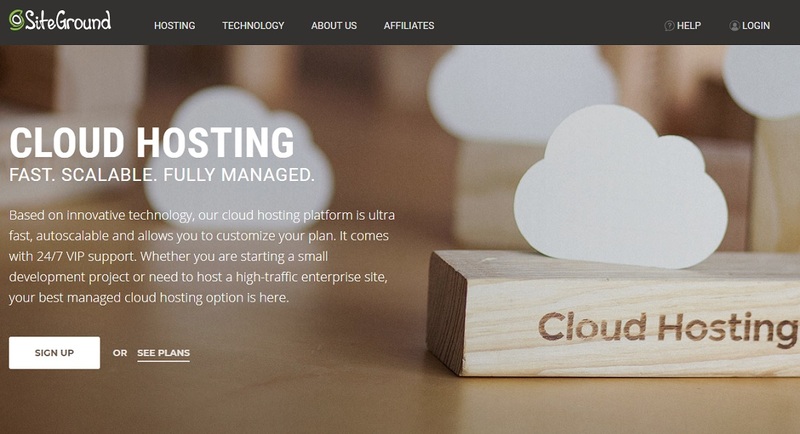 With this list of 10 different and resourceful hosting providers, we expect that every different type of reader willing to purchase a VPS will be able to take a better decision now. Compare the features and, obviously, the price range offered between all the companies. Study which aspects are more important for your cheap VPS hosting option to have and start right away!